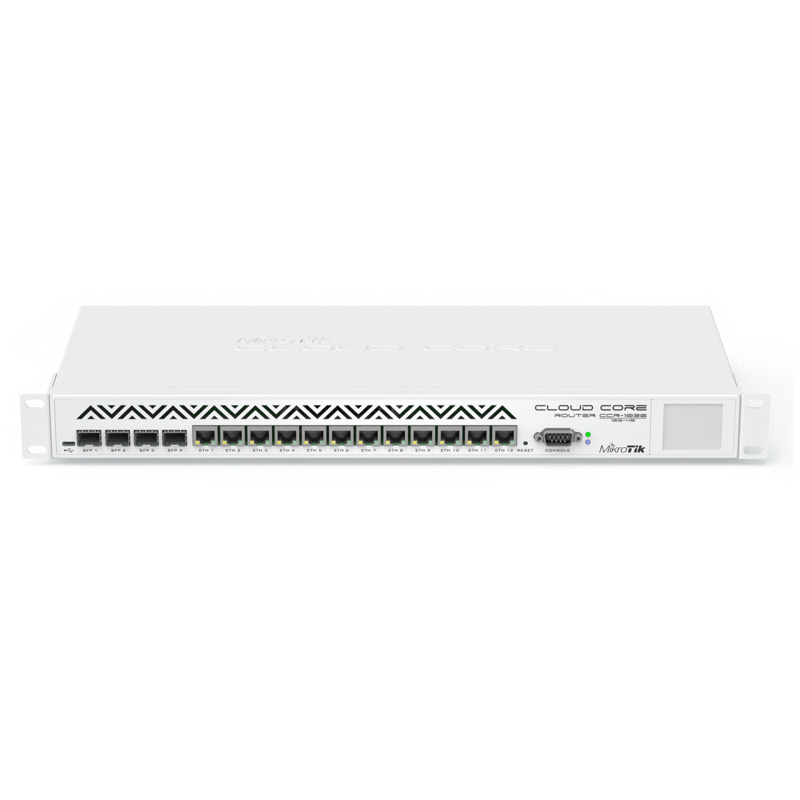 CCR1016 is an industrial grade super fast router with cutting edge 16 core CPU. If you need many millions of packets per second - Cloud Core Router is your best choice. 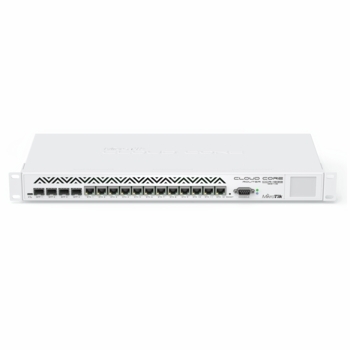 The device is available with a 1U rackmount case (CCR1016-12G) or without the case as a board unit (CCR1016-12G-BU), has twelve Gigabit ethernet ports, a serial console cable and a USB port. The CCR1016-12G has two SODIMM slots, by default it is shipped with 2GB of RAM, but has no memory limit in RouterOS (will accept and utilize 16GB or more).